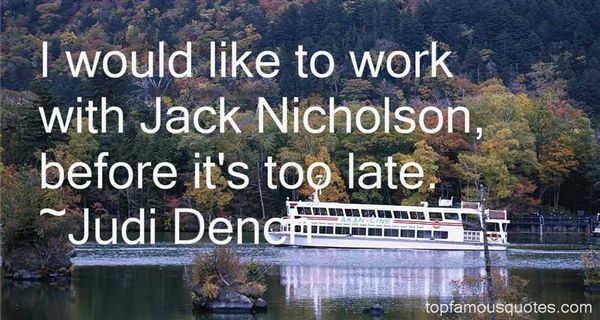 Reading and share top 17 Judi Dench famous quotes and sayings. 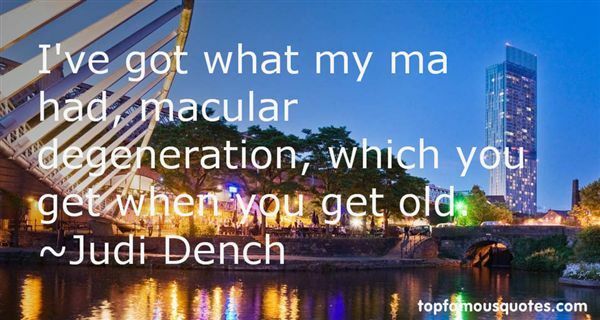 Browse top 17 most favorite famous quotes and sayings by Judi Dench. Something doing every minute' may be a gesture of despair--or the height of a battle against boredom." What Did Judi Dench Talk About?